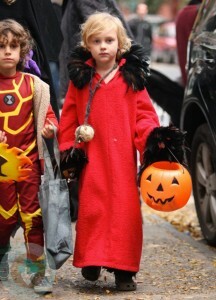 Home » Celebrity Kids Celebrate Halloween! Celebrities were out in full force for Halloween last night and their kiddos were dressed to impress or scare! 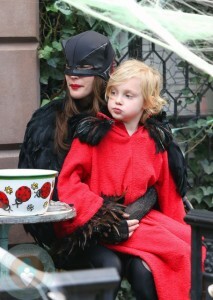 Nothing is cuter than kids dressed up at Halloween. Here are some of the best ones we found. “How I Met Your Mother” star Alyson Hannigan, dressed as Raggedy Ann, and her husband Alexis Denisoff, dressed as a toy soldier tote their little sock monkey to a Halloween party at their home in Santa Monica. 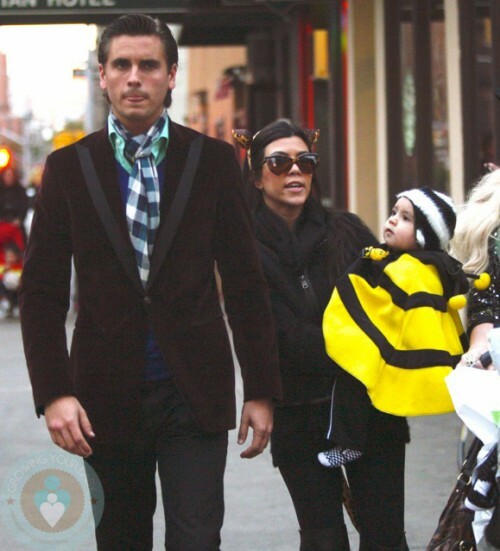 Kourtney Kardashian and boyfriend Scott Disick go for a Halloween walk in NYC with their son Mason dressed up as a bumblebee. 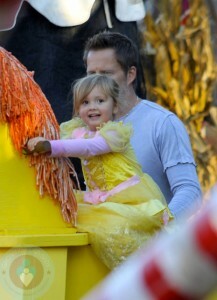 TV host Nancy O’ Dell enjoyed Mr. Bones pumpkin patch in LA with husband Keith Zubchevich and their princess Ashby. Christina Milian and her daughter Violet were photographed at a Halloween store dressed head to toe in matching purple, violet and pink outfits. Cam Gigandet Picks Pumpkins With His Girls!